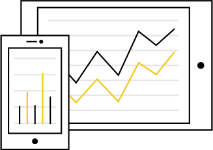 With Power BI on the web, monitor your important data from across your organization and from all of the apps you rely on. 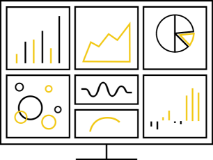 Power BI Desktop gives you tools to transform, analyze, and visualize data. Share reports in seconds with your organization using Power BI on the web. With SQL Server Analysis Services you can easily build robust, reusable models over your data to provide consistency across reporting and analysis in your organization. Deliver stunning interactive reports in your app with the Power BI Embedded service. Excel spreadsheets, on-premise data sources, Hadoop datasets, streaming data, and cloud services: Power BI integration brings together all your data so you can start analyzing it in seconds.